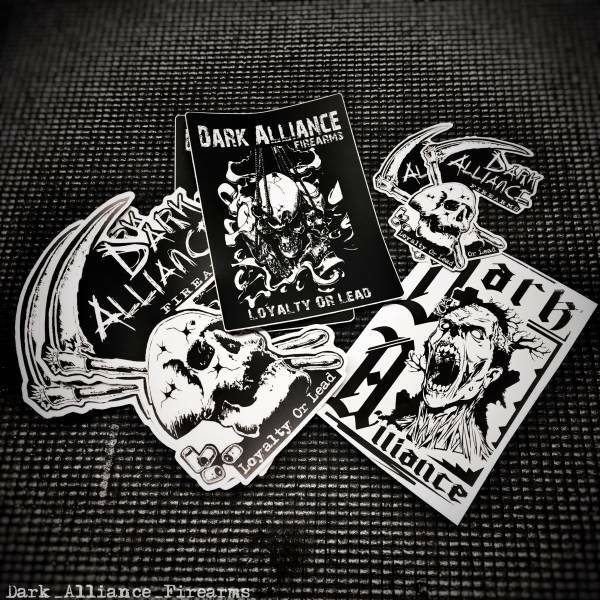 Dark Alliance Sticker Pack. 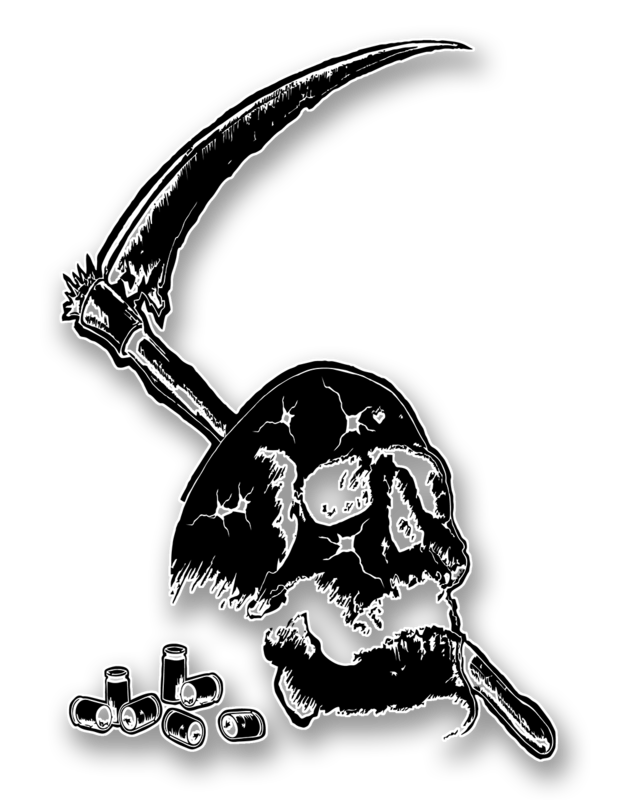 Some Large, Some Small ALL BADASS! They might not be the ones in the pic but they are worth having! 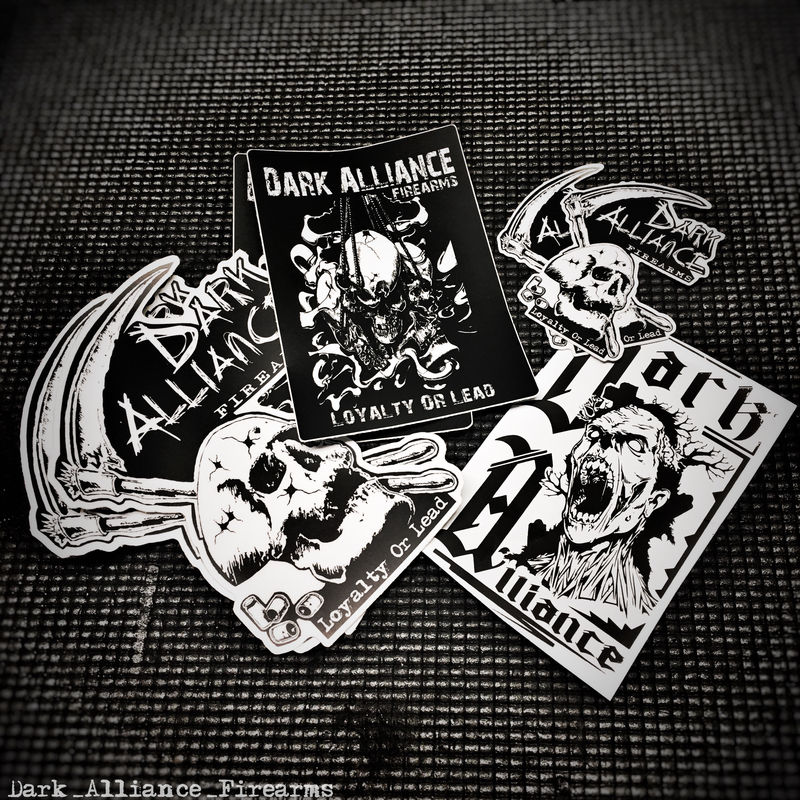 I’ll always throw some extra stickers from others too. If you want them cheaper then buy BIGGER items! haha There add on on the t-shirts for a discount.